My last post discussed how to make the most of your product pages and effectively communicate what it is your business has to offer. This is of course of vital importance. However, visitors to the site need to reach your product pages for this to even enter into the equation. There are a number of ways to achieve this, one of which is a site search. 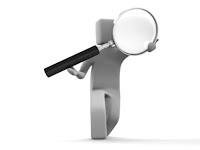 Site search is important for speeding up the visitor's journey through the site. I've found an article that I want to share with you which I feel makes some great suggestions for how to improve a site's search facility. Make all of your site's content searchable. There's nothing that will frustrate a visitor more than if they can't find what they're looking for. Buying criteria can vary enormously from wanting to learn more about the company and seeing previous work to delivery and after sales service. All of this and more should be included. Use of good quality images - this is surely a no-brainer. If you haven't already read it, take a look at Successful selling online.